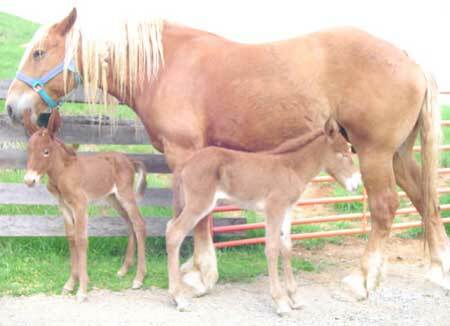 A 9-year-old Belgian mare named Sally gave birth to sisters Dianna and Camilla on April 18, 2005. The sire is a Mammoth donkey named Bo. hour after birth. 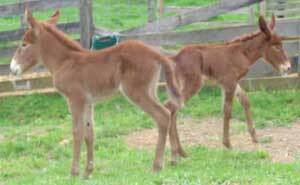 The twins needed no special care and are doing great.